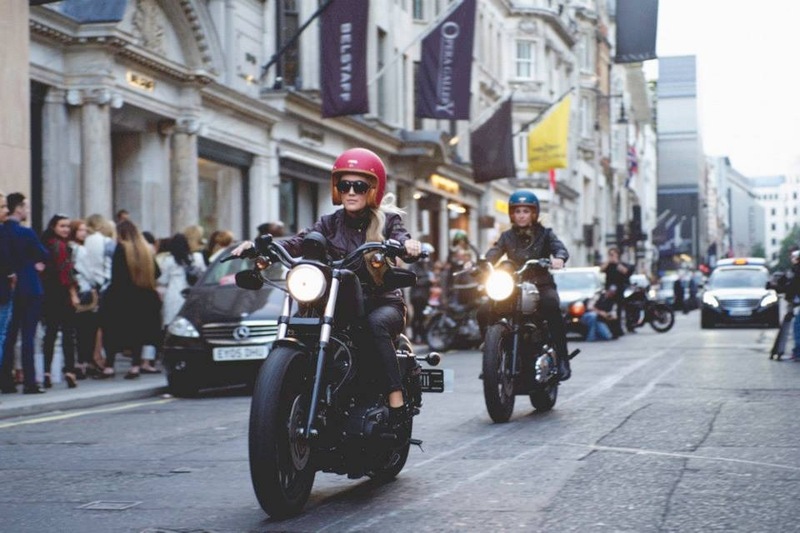 Sahra Lewis and some of her lady friends were asked to attend the 2015 Spring/Summer Belstaff collection launch at the store on Bond Street in London to create some buzz, give the event atmosphere, and show off that women can ride too. 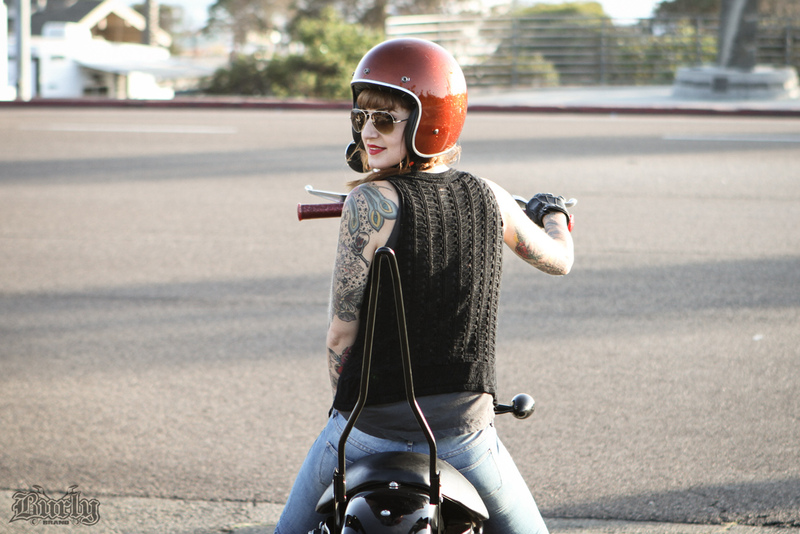 Sanna Maria, Swedish motolady living in San Diego, with her customized Harley sporting Burly Brand rear slammer shocks. 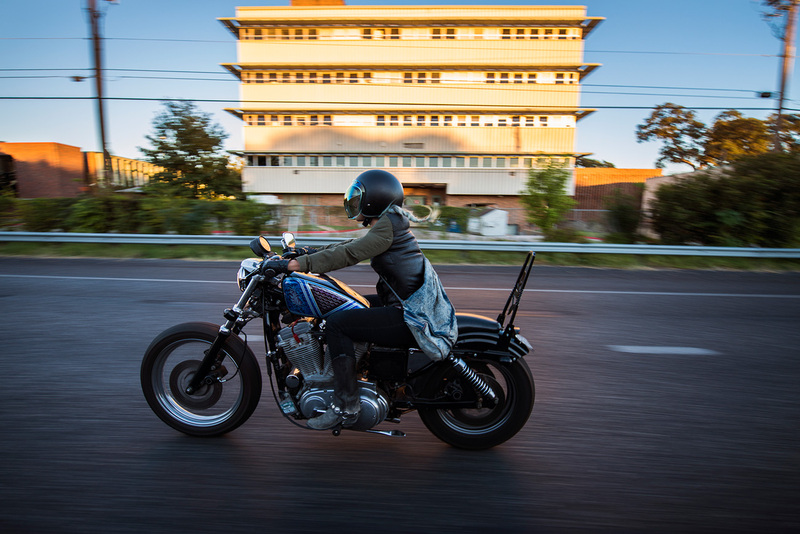 Corinna Mantlo from NY on a vintage BSA. Photo by another motolady from NY, Michelle Medina Carrillo.